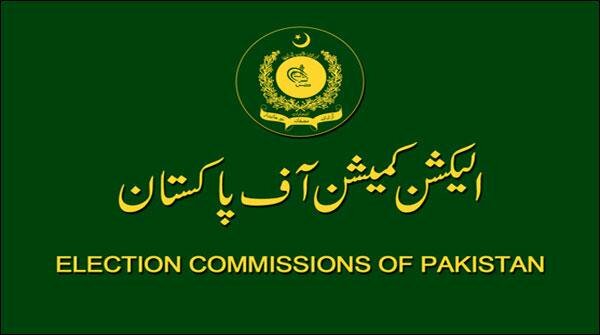 ISLAMABAD: The Elec­tion Commission of Pakistan (ECP) on Thursday ordered an inquiry into the result transmission system (RTS) fiasco. In a letter written to the Cabinet Division secretary, the ECP directed him to constitute an inquiry commission consisting of technical experts from the National Telecommunication and Information Technology Security Board (NTISB) and the Pakistan Telecommuni­cation Authority (PTA) to probe into the RTS episode during the conduct of polls on July 25 and afterwards. The terms of the reference of the inquiry commission will be to analyse the concept of RTS in terms of its practicability, the project as envisaged by the ECP, its preparation and finalisation by the National Database and Registration Authority (Nadra), quality and extent of training imparted to various users, the trail of events taking place on the night of July 25 and thereafter, fixation of responsibility and recommendations for future course of action. The ECP requires the inquiry to be completed within four weeks and if required, other expert opinion may also be utilised after the permission of the ECP. The direction has been issued under Article 220 of the Constitution, which required all executive authorities in the federation and the provinces to assist the commission in the discharge of its duties, and Article 218 (3) which mandates the ECP to organise and conduct the elections and to make such arrangements as are necessary to ensure that the elections is conducted honestly, justly, fairly and in accordance with the law, and that corrupt practices are guarded against. Meanwhile, the Pakistan Peoples Party (PPP) expressed serious concern over recent reports disputing the RTS failure as claimed by the ECP. “These reports corroborate and reinforce what the PPP and other opposition parties have been saying since election night,” said Senator Mustafa Nawaz Khokhar, spokesman to PPP chairman Bilawal Bhutto-Zardari. He said the PPP Election Cell had received complaints from its contesting candidates all over Pakistan that their polling agents not allowed inside the polling stations on the pretext that a glitch had occurred in the RTS and they were also denied copies of Form 45. A similar trend had been witnessed in the constituencies of Lyari, Larkana and Malakand where the PPP chairman was contesting from. The ECP provided Form 45 for Lyari after eight days, for Larkana after three days and it is yet to hand over Form 45 for Malakand. Form 47 for Larkana was issued after party workers had staged a protest outside the office of district returning officer on July 26. “Other political parties have complained of similar things. We feel that it is the ECP’s responsibility to address genuine grievances of political parties and satisfy them on free and fair conduct of elections. We will not sit quietly unless and until the ECP comes up with substantive evidence instead of giving half-baked statements,” said Mr Khokhar. Reacting to a news report carried by Dawn captioned as ‘RTS controversy likely to haunt ECP, Nadra for long’ a Nadra spokesman said it was an inaccurate contention that Nadra protested with the ECP. A Nadra spokesman said it was unfortunate that both the institutions were being dragged into an uncalled-for controversy. He said Nadra had assisted the ECP with regard to the general elections, whereas the impression that emerged from the story was tantamount to creating a rift between both institutions and disparaging the efforts of teh ECP in conducting free and fair general elections in the country.